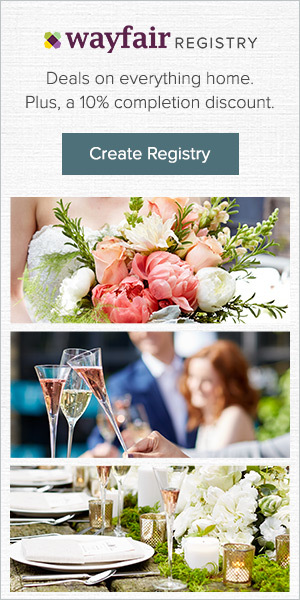 I love anything to do with weddings - doesn't everyone? 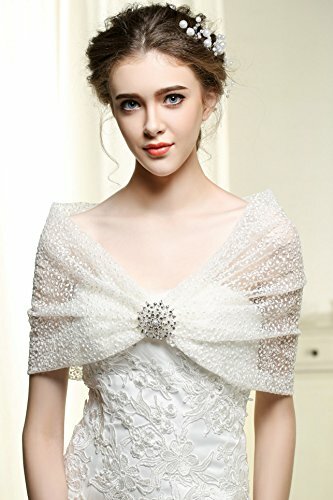 With the present trend for strapless wedding dresses, bridal boleros have never been so fashionable. Many churches for example require you to cover your shoulders so it is a necessity for the ceremony. 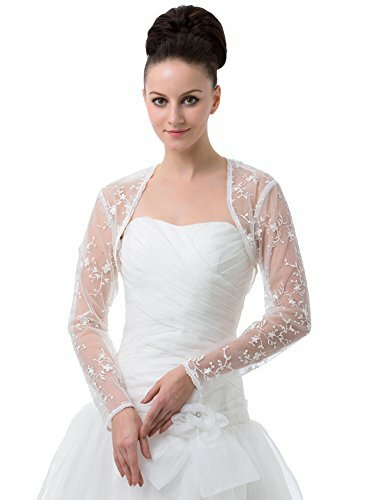 Boleros also give you the opportunity to change your appearance - in Japan and China, brides often have more than one wedding dress they change into throughout the day - we may not go that far, but wearing a stole or shawl that can be removed to show those beautiful shoulders is a cheaper alternative. 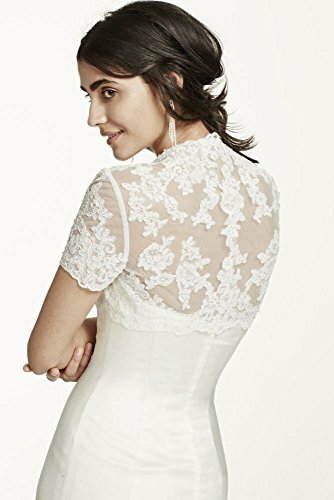 For all those reasons and just because they are gorgeous, I've chosen a selection of great wedding boleros in a variety of styles and in a range of prices. 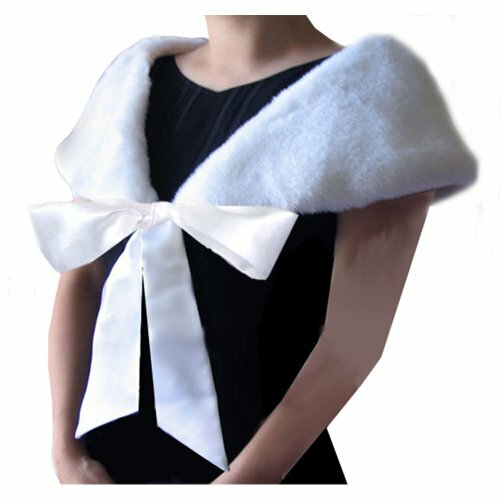 You can choose from lace or faux fur, chiffon or satin; plain white, ivory white, black or any color in between. These are beautiful wraps and shrugs that will create just the right accent to your wedding attire. 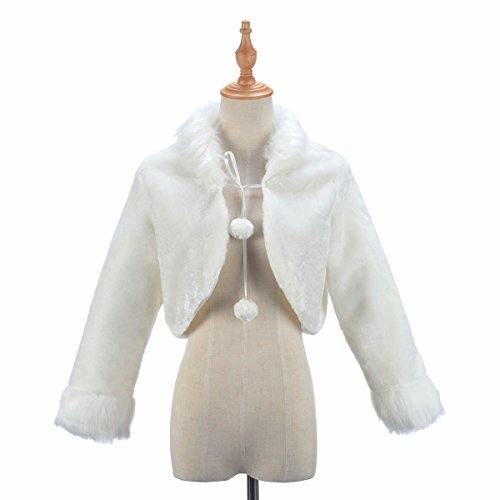 There are lots of reasons to pick a faux fur wrap not least of all because they look fabulous! For me it is the obvious choice for an autumn or winter wedding. 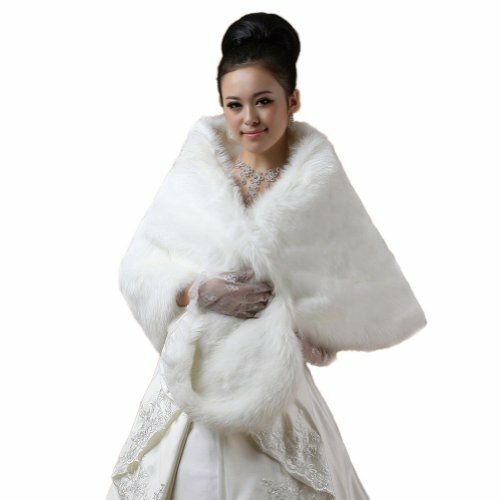 Traveling to and from home, church and reception requires something a little warmer than bare shoulders even for the most hardy bride. Most of the ones available today are warm without being too heavy and confining. Is it going to be too hot or too cold? 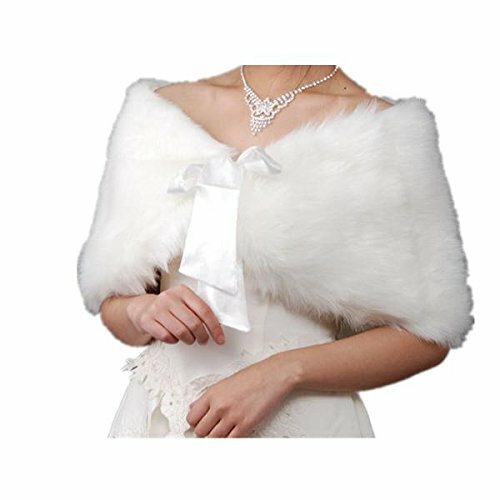 You won't want a fur cape in the middle of summer, but a charming faux fur bolero works well for cool autumn and winter weddings. On the other hand silk, satin , lace and chiffon are perfect for warmer days. 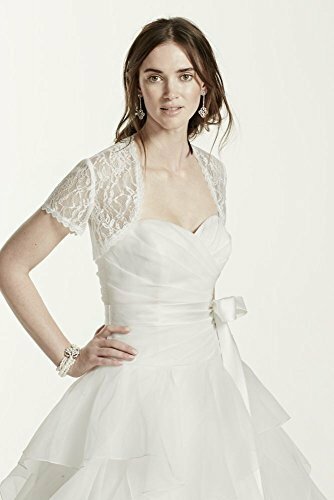 When you are shopping for your bridal bolero, it you can't try it on with the actually dress at least have a very good photograph of the dress with you. That is even more important if you are buying online since not all monitors show colors and shade the same. You may think white is white but it really is so not these days! 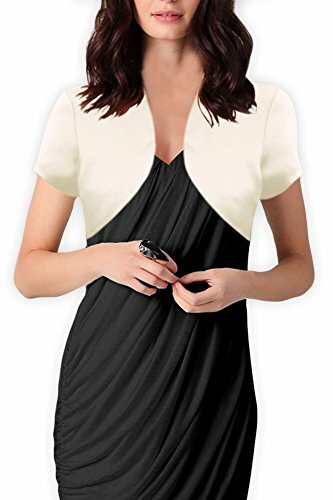 Do you want to match the fabric of your dress or contrast to it? 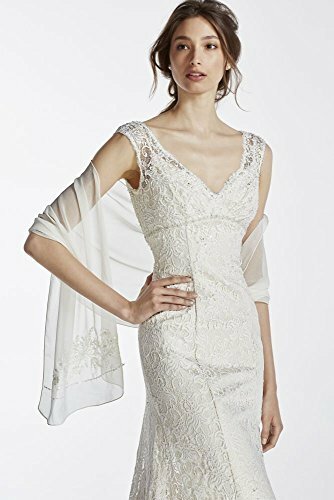 Some wedding dresses come with matching boleros or wraps which makes it easy but you can go either way and it will work. Match a satin dress with a satin bolero or contrast it with lace. It is all a matter of taste and the effect you have in mind. Same goes for color - if you want to contrast the dress then go for it - be very careful about whites though - personally I don't like seeing pure white with ivory white or even cream, too often they just look as if they are miss-matched. Instead really go for a contrast - black actually looks stunning with a white wedding dress as does red and pink. 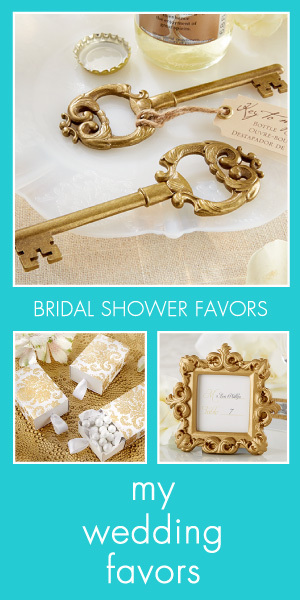 These are also useful in they can be used for other social occasions without looking too bridal. Bolero, shrug, wrap, stole, shawl? Sleeveless? 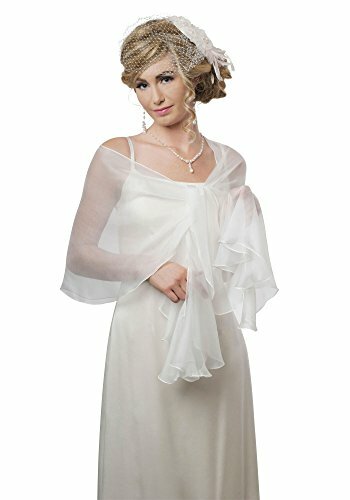 Puff sleeves? Elbow length or full length? The choices are endless but at the end of the day you want to choose something that just makes your heart sing. This pretty wrap has an Audrey Hepburn look to it that will make you feel like a million dollars. The shawl measures 8 inches at it's widest point and in 38 inches long with a wide ribbon closure. 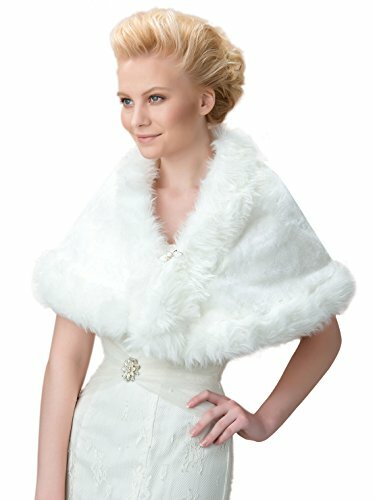 Some of the most famous wedding attire designers turn their talents to producing stunning faux fur wraps to delight you. 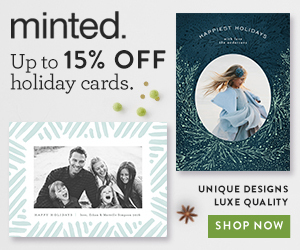 You can browse for more by clicking any link. 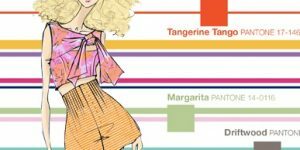 Chiffon was very popular in the 1950s and '60s and it is presently seeing a revival especially in formal wear. The joy of chiffon is that it is lightweight and really lends itself to the modern trend for layers, tiers and ruffles. It drapes elegantly with little effort and can usually be dressed in any number of styles to add interest to your outfit. Being transparent it also enhances rather than detracts for your wedding dress. I confess, this is my favorite bridal wrap. 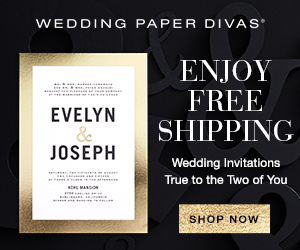 Topwedding have produced a modern slant using a traditional wedding fabric to great effect. This is a little number giving you options on the big day - cover those shoulders in church and shrug it off on the dance floor. 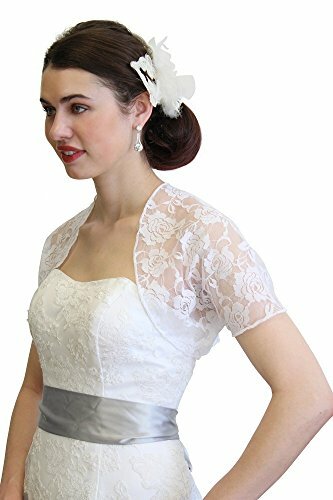 Lace is perfect for a wedding - it is timeless and classically elegant. 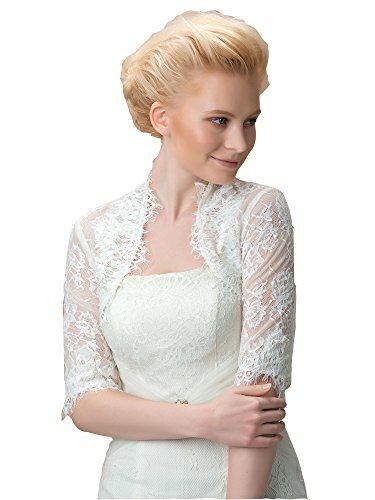 That is certainly how I would describe these lace boleros from David's Bridal. The tiny sleeves hug the top of the arms perfectly and the shaped body is designed to flatter your neck and curves. 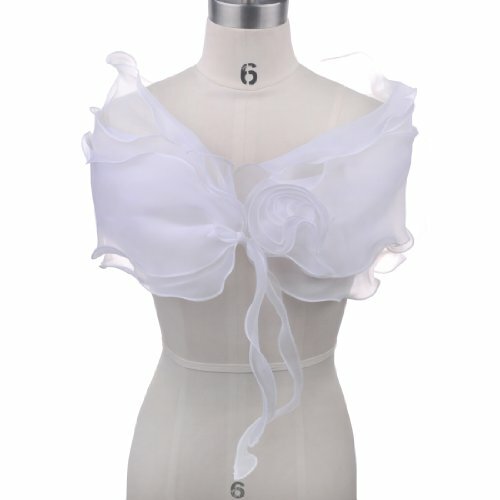 If you have a satin dress you might prefer to choose a satin bolero to match rather than any other fabric. Satin feels wonderful against your skin and gives your appearance a really rich classic look. One like this is timelessly elegant. 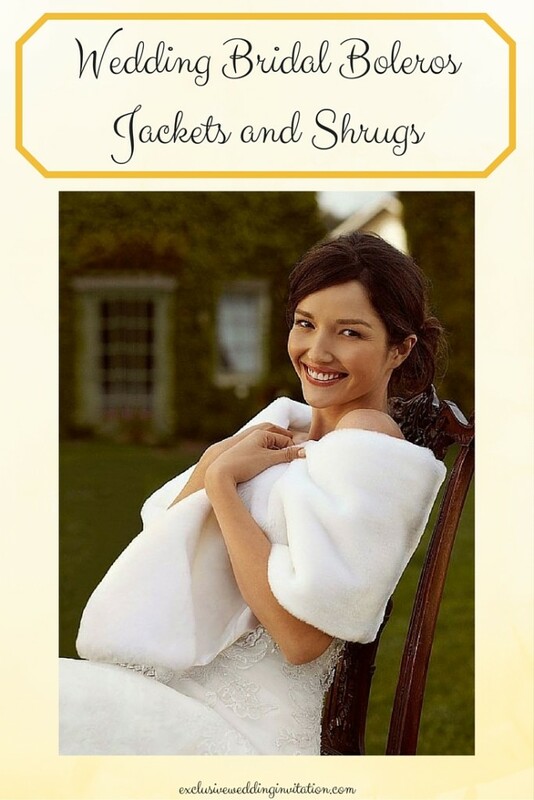 This particular bridal jacket is fully lined and fits the body perfectly. The 3/4 sleeves have a split seam at the hem so you can roll them up to create a cuff - two different looks for the price of one! Very slight padding in the shoulders gives it a more flattering look without being overdone. Both of these jackets come in multiple colors. 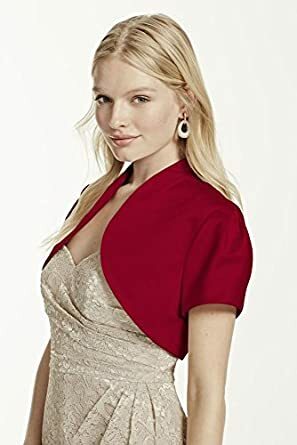 Wedding season comes every year, so if you have weddings coming up this year, a bolero is a great addition to your wardrobe to adapt a sleeveless dress for cooler climates. It also works well for air conditioned halls and churches. You can always use the bolero for dressy occasions afterwards.